The Australian Recording Industry Association toasted their country's finest talent earlier this week at the annual ARIA Music Awards, but some of the stars who turned up on the red carpet weren't exactly who they appeared to be. Radio station Triple J cleverly snuck a group of celebrity doppelgangers onto the red carpet, and the results were pretty hilarious. 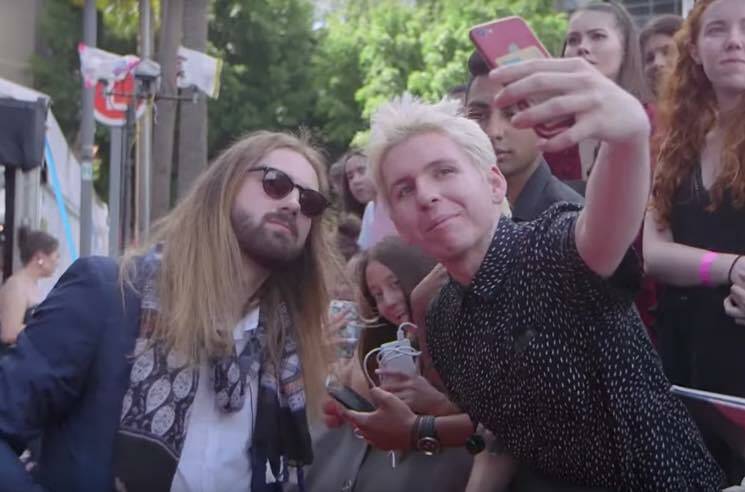 Of particular note was a long-haired, bearded, sunglasses-wearing Kevin Parker impersonator, who managed to convince fellow attendees that he was the singer of Tame Impala. The radio pranksters also unleashed lookalikes of Adam Hyde from Peking Duck and Meg Mac (who we can only assume are a thing in Australia). Watch footage of the ridiculous red carpet trickery below, and head over here to see the list of actual ARIA award winners. Unfortunately, Tame Impala weren't up for any prizes this year, so we didn't get to see Fake Kevin Parker give an acceptance speech. And let's just hope the band are kinder to this copycat than they were to a Chinese blueberry milk company that replicated Tame Impala's likeness in an ad earlier this year. Tame Impala's Currents Collectors Edition vinyl box set is available from Umusic.